Two weeks ago Marcus and Tracey came to dinner at our place. It is now customary that she will bring a pudding – wonderful pudding- when we host dinner. 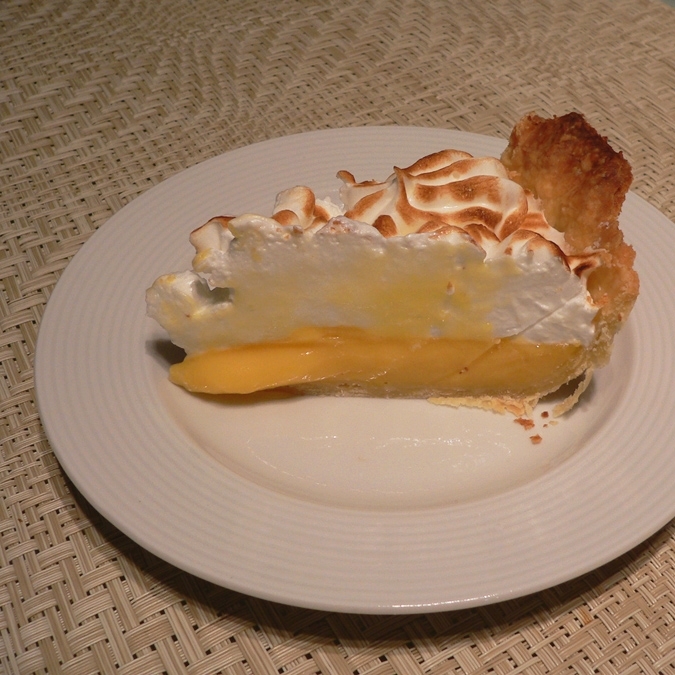 This time it was Lime Meringue Pie – a bit more tart than Lemon Pie but more lively and yumlicious nonetheless. Add cold butter and flour into a food processor and pulse until the mixture forms coarse crumbs. Add caster sugar and salt. Add the water 1 tablespoon at a time and pulse. When the crumbs are moist enough to stick together, press the dough lightly, form into a ball, cover in cling wrap and refrigerate for at least 30 minutes. Brush the pie dish with melted butter. On a floured surface roll the dough into a round, 5cm larger than the pie dish. Carefully drape the dough over the dish. Gently lift the edge of the dough with your fingertips, and press it well into the bottom and up the side of the pie dish. Trim the excess pastry from the edge of the dish. Prick the bottom of the pastry shell with a fork to prevent air bubbles forming during cooking. Chill until firm, about 15 minutes. Place on a baking sheet and bake blind in a 200 degree C oven for about 15 minutes, or until the rim starts to brown. Remove the baking beans and reduce oven to 190 degrees C and bake 5 – 10 minutes longer until light golden. Remove from oven and cool on a wire rack, but leave oven on at 190 degrees C and leave baking sheet in the oven also. Finely grate the zest from 2 of the limes and set aside. Halve the limes. Squeeze the juice and strain it into a measuring jug. There should be about 250 ml. Beat the egg yolks with the whole eggs, using a whisk, until evenly mixed together. Cut the butter into small pieces. Put the sugar, lime zest, and butter into a medium heavy-based saucepan. Add the lime juice. Whisk over fairly low heat until the sugar has dissolved, 2 – 3 minutes. Off the heat, whisk in the beaten eggs until evenly combined with the lime mixture. Return to the heat and cook gently, so the curd thickens slowly and does not curdle, stirring constantly with a wooden spoon until it is thick enough to coat the back of the spoon, 4 – 6 minutes. Sieve the lime curd into a bowl to remove any bits of egg or lime zest, and set aside to cool. Once cool, spoon the lime curd into the pastry shell. Place on the baking sheet and bake at 190 degrees C until the mixture starts to set, 10 – 12 minutes. Transfer to a wire rack to cool, then chill until adding the meringue. 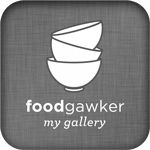 Put the egg whites into a metal bowl and whisk with an electric mixer or by hand (yeah right). Begin whisking slowly, but increase the speed when the egg whites become foamy and white. Continue whisking the egg whites until stiff peaks form when the beaters are lifted. Gradually pour the hot sugar syrup into the beaten egg whites, beating constantly. Continue beating the mixture until the meringue is cool and stiff (about 5 minutes). The bottom of the bowl should be cool. With a palette knife, spread half of the meringue over the filling to cover, then pipe the remaining mixture on top. Torch it or place until the grill until golden brown. Make sure that you grill the meringue at once so it does not start to separate and become sticky. When you come across complicated recipes on my blog such as this one, you can pretty much guess that they are unlikely mine. I am on a lazy side as a cook so I normally do easy dishes but I still love to impress my readers so I have to have guests' recipes from time to time:) Thanks, Tracy. It's divine!